It starts as a small pain – an ache in the shoulder, a throb in the hip, a jab in the knee. It may signal injury, the onset of arthritis or plain old wear-and-tear, yet many people would rather live with the pain than see a specialist, for fear of needing complex surgery. But aches and pains aren’t what they used to be. Thanks to incredible advances in orthopedic medicine, surgery is no longer the first, or only, option for repairing injured and worn-out joints. When it’s needed, surgery is increasingly noninvasive, allowing patients to return quickly to their active lifestyles. One example is hip joint replacement, a procedure that’s benefitting from a significant new surgical technique called anterior hip replacement. It’s a revolutionary method adopted early on by Dr. Shawn W. Palmer, a board-certified orthopedic surgeon and fellowship-trained expert in joint replacement surgery at the Midwest Bone & Joint Institute, with locations in Algonquin, Barrington, Elgin and Geneva. The anterior approach involves lying patients on their backs and performing the hip replacement through a small incision, often 3 or 4 inches long, on the front of the thigh. Unlike other hip procedures, other supporting tissues are left intact and no muscles are cut, allowing for immediate stability and a faster return to activity. Palmer says that the patient position allows the use of an X-ray guidance system, so physicians can ensure a more accurate leg length and implant position, before concluding an operation. As more patients demand faster recovery, more hospitals will take notice, and more surgeons will learn the technique, says Palmer. Following the 30- to 45-minute surgery, most patients can walk with minimal assistance within a few hours, and many go home the same day. Palmer points out that, unlike traditional posterior hip joint replacement, there are no restrictions to sitting, sleeping, stair-climbing, crossing one’s legs or sleeping on one’s side. Blood loss is minimal, and transfusions are unnecessary. Patients may begin showering the day after surgery and drive within a short period of time. Many patients return to work within two weeks of surgery. Best of all, this procedure isn’t unique to certain patients. It’s especially practical for patients concerned about their independence. That’s good news not only for people in need of hip joint replacement, but also for those requiring joint replacements. That includes shoulder replacement surgeries, which were relatively rare just 10 years ago, according to Dr. Craig Cummins, a board-certified orthopedic surgeon with Lake Cook Orthopedics, who operates on patients at Advocate Good Shepherd Hospital in Barrington. Additionally, a new operation, called a reverse shoulder replacement, is a useful treatment option for patients with arthritis and irreparable rotator cuff tears. While shoulder joint replacement is becoming more common, disorders related to the rotator cuff tendons are more prevalent, with problems ranging from tendonitis to complete rotator cuff tears. But the most significant advances in shoulder surgery have come through arthroscopic techniques, which use special equipment and a camera inserted through small incisions. Patients who have arthroscopic surgery, on average, have less pain and scarring, shorter recovery times and better overall results, with a significantly decreased risk of infection. With the appropriate oral and injectable medications, with or without physical therapy, the majority of patients don’t need surgery, he says. He adds that patients should be wary of yet-unproven nonsurgical techniques. For example, he notes recent interest in the use of platelet-rich plasma (PRP), which can be used to treat orthopedic conditions, especially tendon problems. Regardless of age, active people are vulnerable to knee injuries and pain, and few knee injuries are as common as tears of the anterior cruciate ligament (ACL). The American Academy of Orthopedic Surgeons (AAOS) estimates that around 200,000 ACLs are injured every year, with about half requiring reconstruction. It’s an injury most commonly seen in people who enjoy high-risk sports such as basketball, football, skiing and soccer, and often occurs when deceleration is coupled with cutting, pivoting or sidestepping maneuvers, awkward landings, or out-of-control play. Dr. Richard Mannion, FACS, a board-certified orthopedic surgeon practicing at Northwest Community Hospital in Arlington Heights, understands the challenges of returning to actvity after an ACL injury. The higher the competition level, the longer it takes for an athlete to return to prior levels of performance. For example, with a professional athlete, he says, it’s not unusual to miss the rest of a season because of an injury that requires ACL reconstruction. Surprisingly, women are more prone to ACL injuries than men, in some sports, Mannion says. According to AAOS studies, this might be due to gender differences in physical conditioning, muscular strength and neuromuscular control. Other potential causes include pelvis and lower extremity (leg) alignment, increased ligamentous laxity (loose ligaments), and the effects of estrogen on ligament properties. 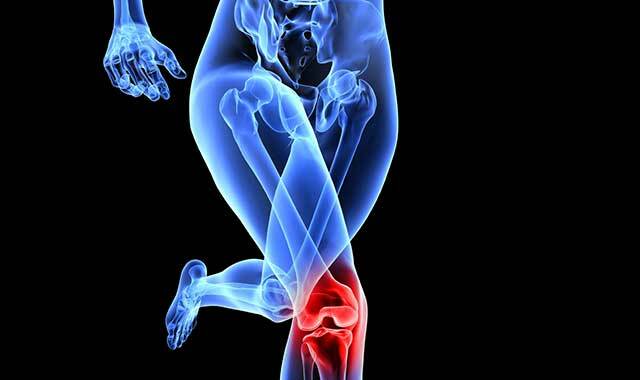 Following an ACL injury, patients often have a large amount of knee swelling, a loss of full range of motion, pain or tenderness along the joint line, and discomfort while walking. Mannion emphasizes that if an athlete suspects an ACL injury, it’s essential to be evaluated by a board-certified orthopedic surgeon as soon as possible. The potential consequences of a serious, untreated ACL injury vary from patient to patient, and largely depend on the patient’s activity level, degree of injury and instability symptoms. In the event that surgery isn’t the best option, treatment may include progressive physical therapy and rehabilitation designed to restore the knee to a condition close to its pre-injury state. Patients are educated on preventing instability, which may require the use of a hinged knee brace. Americans love sports, not only as spectators, but also as participants, whether their activity is part of a wellness routine or a rough-and-tumble game of backyard football. No matter the level of activity, injuries are still possible. Dr. Joshua Alpert, a board-certified orthopedic surgeon with the Midwest Bone & Joint Institute who practices at Sherman Hospital in Elgin, says that 75 percent of his patients visit because of sports-related injuries. In instances of ACL tears in children under 10, Alpert says he generally recommends physical therapy to help strengthen the muscles around the knee, as well as a knee brace to help with stability. These patients are then monitored and advised not to participate in active sports until they are old enough to safely consider ACL surgery. When performing standard ACL surgical reconstruction, it is necessary to drill through the bone, Alpert says. In children with significant growth remaining, this would mean drilling through the growth plate, which can lead to future problems. But knees aren’t the only joints that can be injured during sports or other activities. Alpert says that, although elbow injuries are relatively rare, he does see young patients who have broken their elbows in contact sports or falls. Injuries are usually treated with a short-term cast, followed by bracing, and a course of physical therapy. Ankles and feet are also at risk during sports activities. Ankle sprains are fairly common, resulting in pain, swelling and difficulty in bearing weight. After the ankle is X-rayed to ensure there are no broken bones, patients are treated with a support brace and physical therapy. Alpert says it takes three to six weeks for an ankle sprain to heal, depending on the severity. Another fairly common sports-related foot injury involves the pinkie bone in the foot, or the fifth metatarsal, which can break when the foot lands too hard or unevenly. No one wants to face a lifetime of pain, or dread an intensive surgery to fix an injury. Thanks to steady breakthroughs in surgical and nonsurgical treatments, young athletes are getting back to their favorite sports, while older adults are retaining their active lifestyles, and living longer than ever before. This entry was posted on Friday, January 24th, 2014 at 12:00 pm	and is filed under Health & Fitness, Top Posts. You can follow any responses to this entry through the RSS 2.0 feed. Both comments and pings are currently closed.